﻿ Nelsonville Historic Public Square - Ohio. Find It Here. 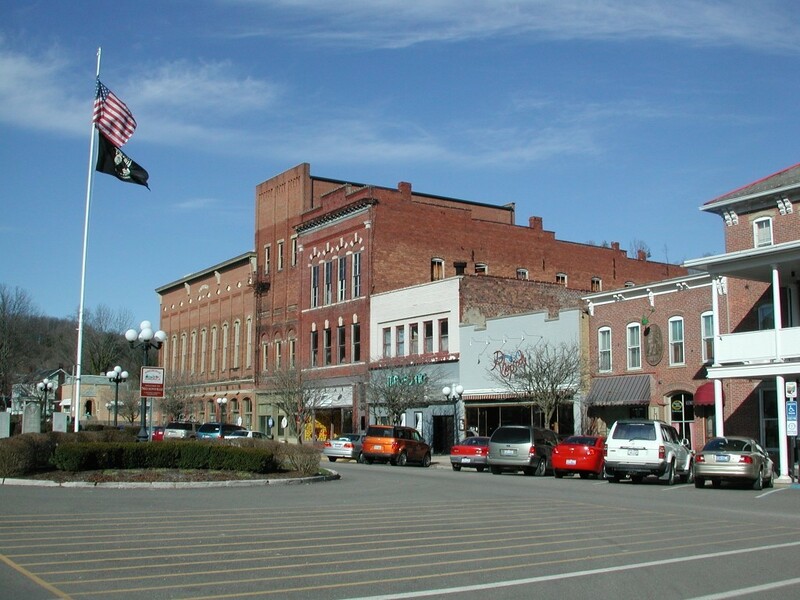 Nelsonvilles Historic Public Square was once the center of activity for Nelsonville and its surrounding coal mining communities. In recent years the square has come back to life and is now a popular shopping destination.Shops, many featuring the work of local artists, stay open late on the final Friday of every month. During a Final Friday event visitors are treated to street musicians, artist demonstrations, and street performers. But visitors are welcome any day of the week.The Public Square is easy to get to from Rt. 33 as it runs through Nelsonville: From the north, take a left at the traffic light at the Rocky Outdoor Gear Store; from the south, take a right at the light.The Public Square is just a short walk from the Rocky Shoes and Boots Outdoor Gear Store and the Hocking Valley Scenic Railway.